We know the importance of your pooch’s health both inside and out. That’s why we stock Jack Tonekote for your pup. If you’ve noticed your pet’s coat is less than stellar look no further than Tonekote. Dry skin, dull coat or excessive shedding and itching could mean your dog needs more of the essential fatty acids and vitamins that promote healthy skin and a lustrous coat. Your dog’s body can’t make these key nutrients, so it’s important they’re included in his diet. Tonekote is a food supplement rich in Linoleic Acid, an essential fatty acid. 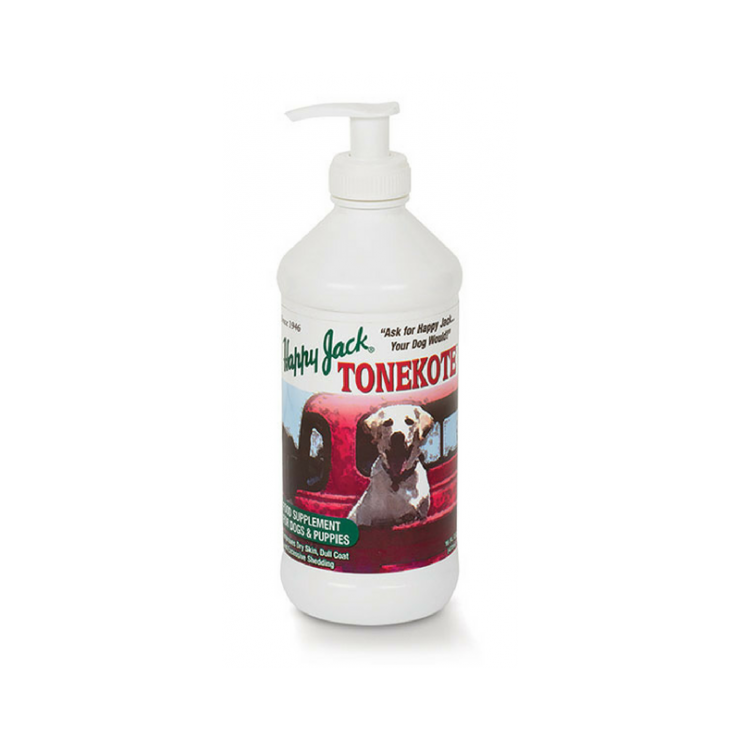 Tonekote also provides Vitamins A, D and E, all vital ingredients for healthy skin and coat. Convenient to use – simply add to food. Give one tablespoon daily per 10 lbs. of dog’s body weight. If skin is very dry and coat is very dull, dosage may be doubled for the first five days.